Imagine being arrested for a crime you didn’t commit. Now imagine being convicted for that crime, and sentenced to death for allegations of which there is no evidence. It is a worst-case scenario which one cannot possibly prepare themselves for. Now take this scenario and add the frightening prospect of awaiting your sentence in an Iranian prison, sent there by the Islamic Regime. This is the true and frightening story of Zeinab Jalalian. Wrongly described as a political activist, she was arrested in 2007 and sentenced to death for being an alleged member of the banned Kurdish Free Life Party of Kurdistan. (PJAK) Although Iran’s Supreme Court later reduced her sentence to life imprisonment, this is of little comfort to the 34 year old woman who has languished in prison now for the past 9 years. Plagued with continual health problems, she now suffers an eye aliment, which requires surgery that she has been denied. Zeinab is slowly losing her eyesight with no help on the horizon. Consequently, due to her lengthy imprisonment and denial of proper medical care she has experienced other serious health problems and faced challenges most of us would consider a living nightmare. Over the past few years, she has suffered internal bleeding, and intestinal infection related to injuries sustained during torture. Zeinab had reportedly been placed under intense physical and psychological pressure to confess in front of a camera for her alleged crimes, a common practice in Iran for politically motivated cases. Her requests for medical furlough have been denied. The severe injustices this young woman has faced are glaring. After her initial incarceration, she was denied proper legal representation and her trial lasted only a few minutes. A worldwide movement campaigning for Ms Jalalian’s release has been instigated by several humanitarian groups pointing out irregularities in the judicial proceedings leading to her condemnation, cruel treatment and urgent need for medical attention. This effort has been assisted recently through a petition by women’s rights activists through a petition as recent as September of 2015. However in March of 2016, requests to send her to a hospital or furlough had been rejected. 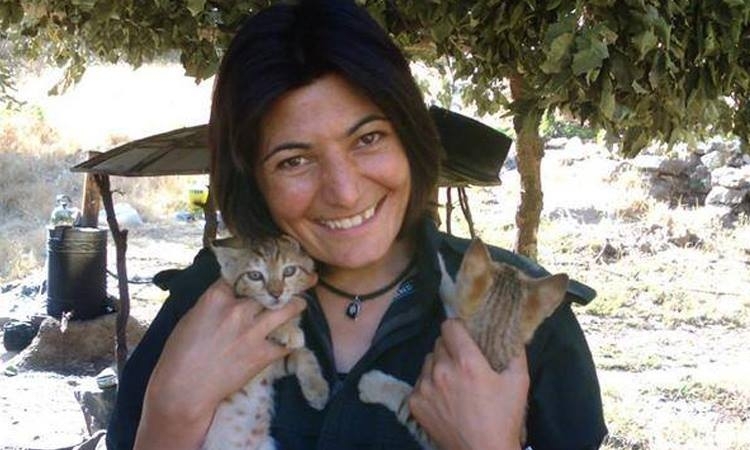 Zeinab Jalalian has struggled her entire life for the most basic of human rights. Like many women living under Islamic oppression in Iran she has no say in this terrifying ordeal; we cannot let her spirit be crushed, we must fight for her right to let the truth be known. We need to be a voice for this courageous young woman who desperately needs our help. THEREFORE: We, the undersigned, demand that the international community bring all possible pressure to bear upon the Islamic Republic of Iran to honor its binding human rights by IMMEDIATELY and UNCONDITIONALLY releasing Zeinab Jalaian from prison, canceling her ILLEGAL suspended detention and dropping all equally ILLEGAL charges against her. The Immediate & Unconditional Release of Zeinab Jalalian petition to UN, Ban ki-Moon, OHCHR, Navi Pillay, Ahmed Shaheed, State Department, EU, European Parliament was written by Kaveh Taheri and is in the category Human Rights at GoPetition.